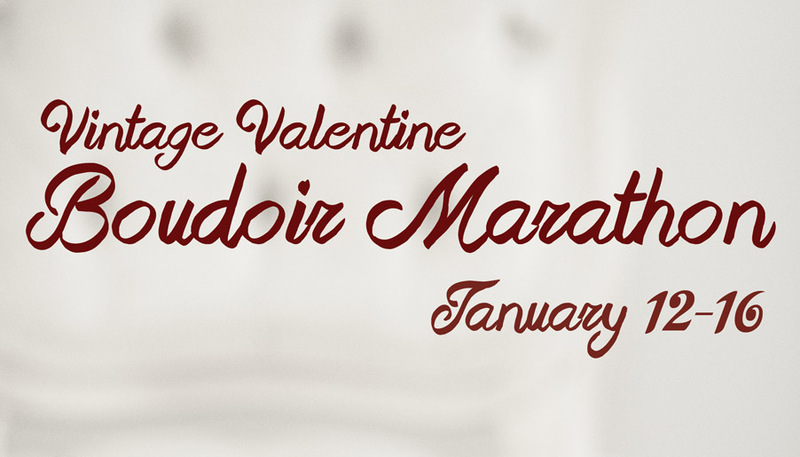 This year I’ve teamed up with Classic Vintage Rentals to bring you a Vintage Valentine Boudoir Marathon! We’ll have beautiful vintage furniture including the Charlotte Vanity, Marie Pink Velvet Chair, Jeannie Velvet Bench and props to make these sessions extra romantic. 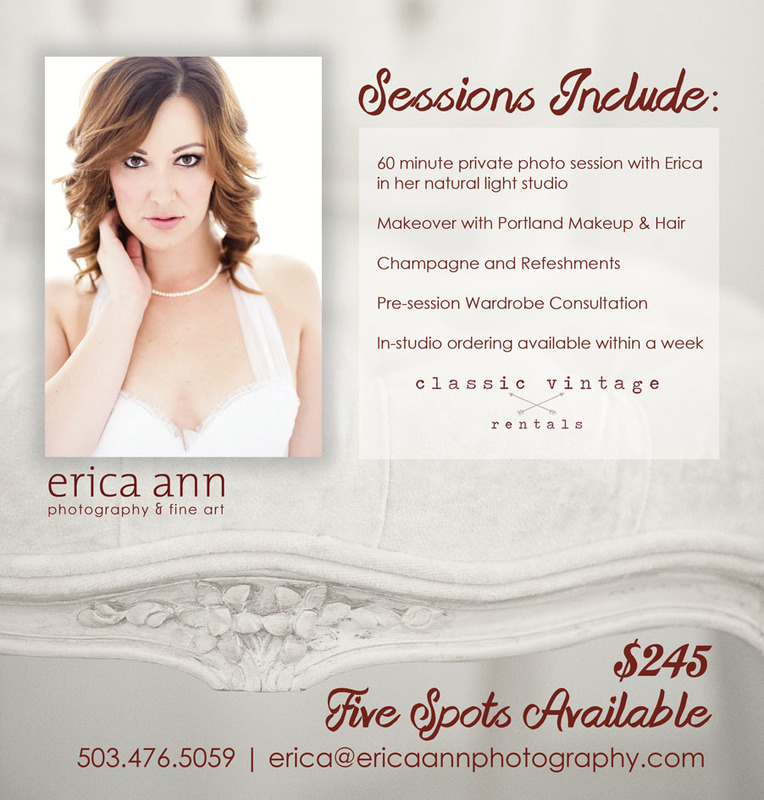 Each session will include a full makeover by Portland Makeup & Hair, a pre-session Wardrobe Consultation with yours truly, Champagne and refreshments during your shoot and a 60 minute photo session in my downtown Portland studio. Rosalie - Do you have to purchase the cd/prints on top of the session fee? Or are a certain number of photos included in the price. I would really love to do this but I’m not sure I can justify the price thank you!